The cornerstone of good nutrition is a balanced diet. A balanced diet is one that supplies all the essential nutrients that a horse needs every day, without net gain or loss. 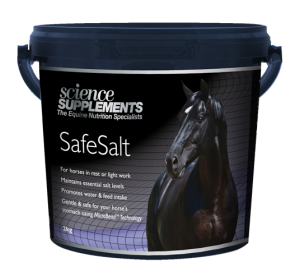 Ensuring an adequate supply of energy, protein, carbohydrates (including fibre) and lipids (oils and fats) is easier in horse diets than ensuring enough vitamins and minerals. Grass and preserved forages such as hay are always short of some essential vitamin and minerals. Vitamins and minerals are classed as essential micronutrients, since they are required in smaller amounts than carbohydrates or protein (the macronutrients). They are essential because deficiencies cause disturbed body function and eventually disease. Vitamins have a variety of functions in the body and vitamin activity can be found in a variety of related substances. Vitamins are not a health boost, tonic, or detox; they are essential for basic good health. Minerals are inorganic elements that have a wide range of functions in the body, from giving hardness to bones and teeth, balancing body fluid, components of enzymes and basic cellular activity. 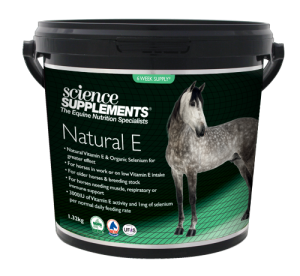 Essential minerals make up about 4% of the horse’s bodyweight. Due to the way they are absorbed, they interact in complex ways and their ratios in the diet are as important as the actual intake. Essential macrominerals (required in grams daily) include calcium, phosphorus, magnesium, sulphur, and the electrolytes potassium, sodium and chlorine. Essential microminerals (required in milligrams daily) include zinc, copper, iron, selenium, iodine, manganese, and cobalt. The safest and most useful way to supplement essential micronutrients is with a well-formulated multi-vitamin and mineral supplement. These can be fed mixed with a little chaff or feed to horses who obtain enough energy and protein from forage alone, or added on top of compound feed for those who require less than the full recommended amount. Vitamin and mineral supplements are one of the most underused and most misunderstood supplement. They should be on the shelf of every tack room! You can’t always see the different straight away, but the horse’s body will feel the difference and long term health will suffer without enough. 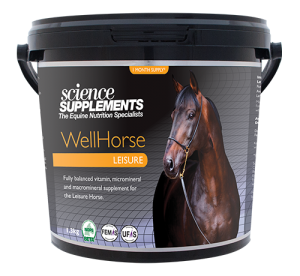 Our WellHorse range for the Leisure, Performance and Veteran horse are professionally formulated and the only vitamin and mineral balancers to meet the NRC (National Research Council) reccomendations for vitamin and minerals.